More details have been revealed on the father of Stephen Paddock, the gunman who shot and killed 58 people in Las Vegas in early October. 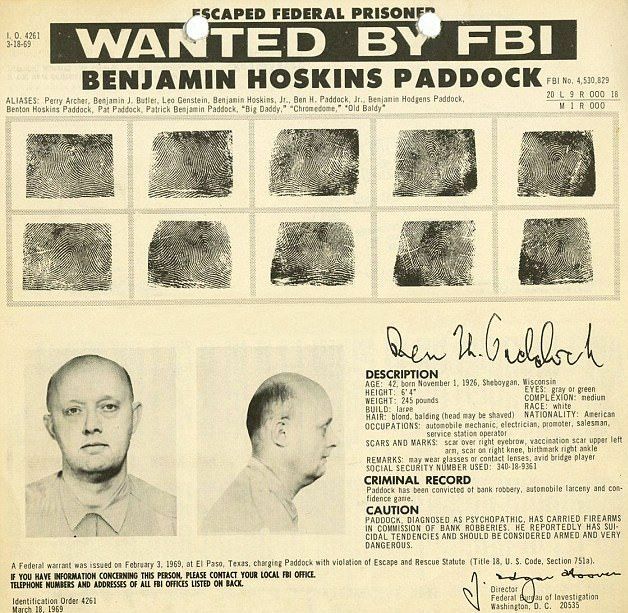 Benjamin Hoskins Paddock was a fugitive bank robber who was on the FBI’s top ten most wanted list until 1977. But it has also been revealed that he was a self-ordained minister who married couples in Las Vegas and had plans to open a church there. 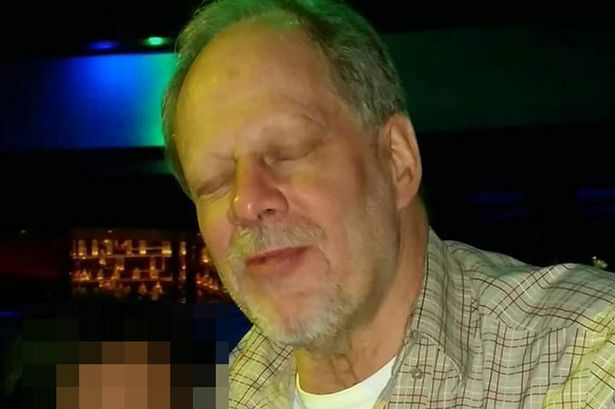 Investigators are looking into every aspect of Paddock’s family life, reported the Las Vegas Review-Journal. He was found one year after he was removed from the most wanted list in 1978 in Oregon. He had been running a bingo parlor, it has been reported. He tried to exploit a loophole in Oregon by starting a church, allowing him to pocket some of the money from bingo. He was caught in 1987 and charged with running an illegal gambling operation. Two years later, he tried to start another church in Vegas, the Review-Journal reported. “He wanted [to set the church up] in Nevada because he liked to go there and gamble,” Bernie Sue Warthen, a friend of Benjamin Paddock, was quoted by MailOnline as saying. Warthen said he invited her to the city in the late 1980s so they could start the Holy Life Congregation, which never materialized. Officials still can’t figure out a motive for Stephen Paddock’s attack. Associate criminology professor at the University of Nebraska, Joseph Schwartz, cautioned against drawing conclusions about Stephen Paddock based on his family or his antisocial behavior. “If he had a high predisposition for criminal and violent behavior, we likely would have seen that earlier in his life,” Schwartz said. According to Reuters, a complete picture of his finances is still being assembled by investigators who are trying to understand what drove an apparently wealthy retiree to haul 23 guns up to a hotel suite before commencing one of the deadliest shootings in U.S. history.